Appearance (0-20): Lets be straight out honest here, the first thing you notice about the Gurkha Ghost has nothing to do with the cigar itself – you notice the band. The holographic band glimmers in the light and catches your eye immediately. It’s a departure from traditional / classic cigar bands for sure. Is it kitschy / gimmicky? Sure. But they win the first part of the battle by having something that catches your eye enough to get you to take a look at the cigar. Once you get beyond the band, you find a pretty normal looking stick: some smaller veins throughout, a good wrap job, and normalized color. The foot doesn’t contain large amounts of ligero either. 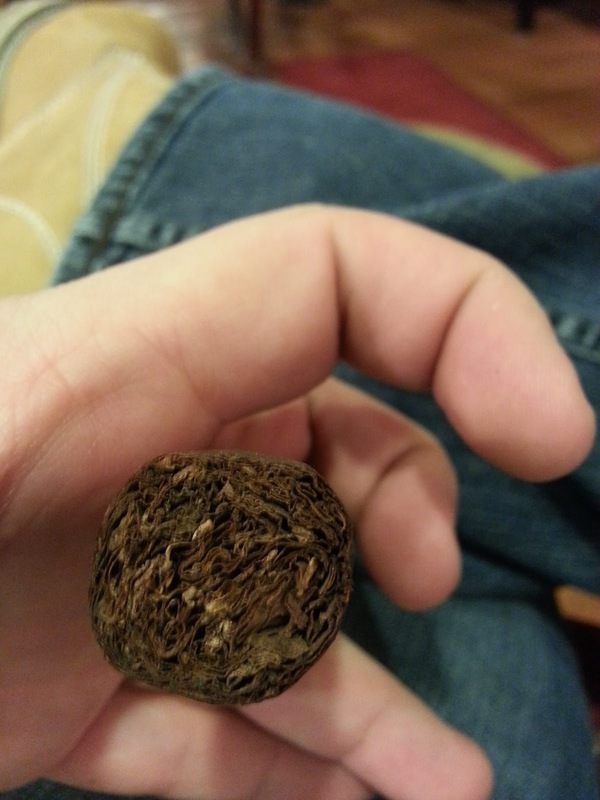 It really does look like a run of the mill cigar. Still – kudos to Gurkha for thinking outside of the box to get me to take a look at their blend. 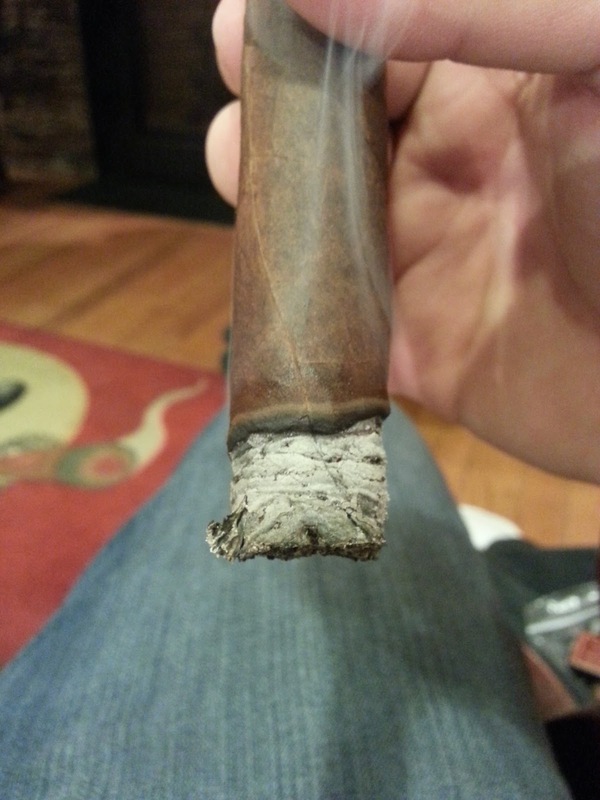 Construction (0-20): There were no issues found with the initial feel of the stick, with the tobacco being evenly distributed throughout. It was pretty spongy to the touch with a softer wrapper. The cut revealed very little debris, and it had a slightly loose prelit draw. 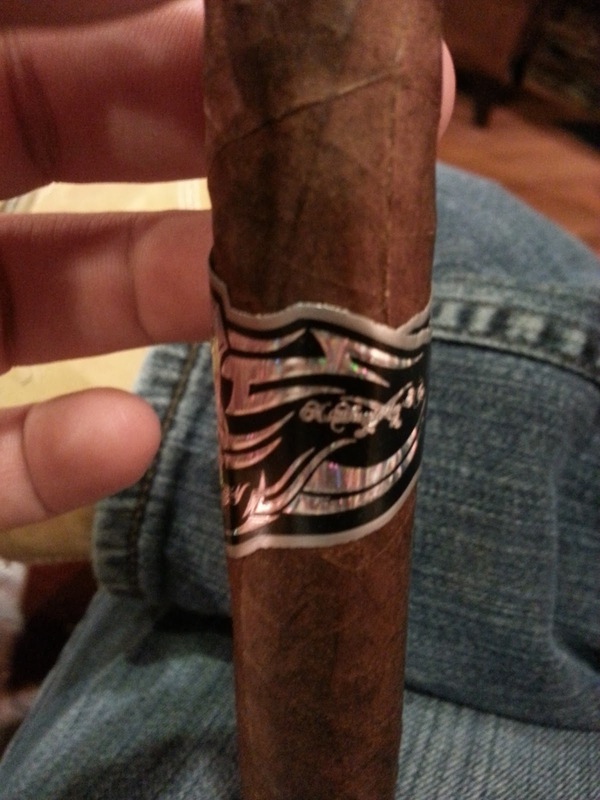 Lighting up came very easily and it smoked like a chimney through the entire stick. Even though it was a bit loose on the draw, the ash held pretty well at about an inch and a half per clip. It burned cool throughout; to the point where I only tossed this one out because it was too small to hold anymore. Strength (0-20): Listed as medium, I believe it exceeds a bit beyond that as it progresses. It definitely builds quite a bit after beginning in the lower end of the medium spectrum, topping off closer to full bodied. Flavor (0-20): In the first third there’s a very nice bit of pepper to start you off that’s mixed almost immediately with a creamy sweetness. Undertones of cinnamon, earth, and even a little woodsy flavor will linger on the tongue to mix with the sweetness. What you can detect of the pepper begins to recede a bit more as you progress, giving way to the previously described cinnamon, and something that I can only describe as “buttery”, and some light cocoa. It still keeps its earthy tones, and when moving into the final third incorporates that more fully. The transitions weren’t always extremely clean, but the complexity is there. 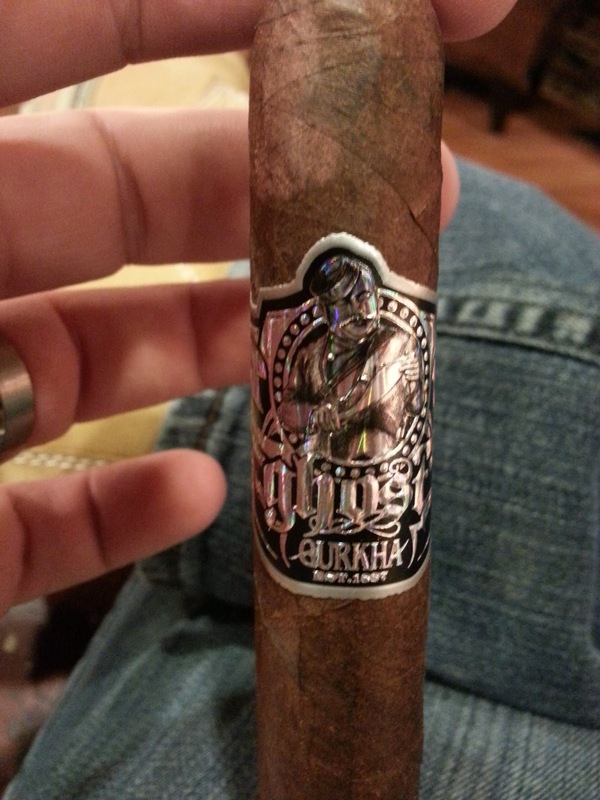 Value (0-20): $7.50 is a pretty good price for this Gurkha. Actually, oddly enough, I felt it was close to the price it should be, considering Gurkha is notorious for inflating their prices beyond where they should be. 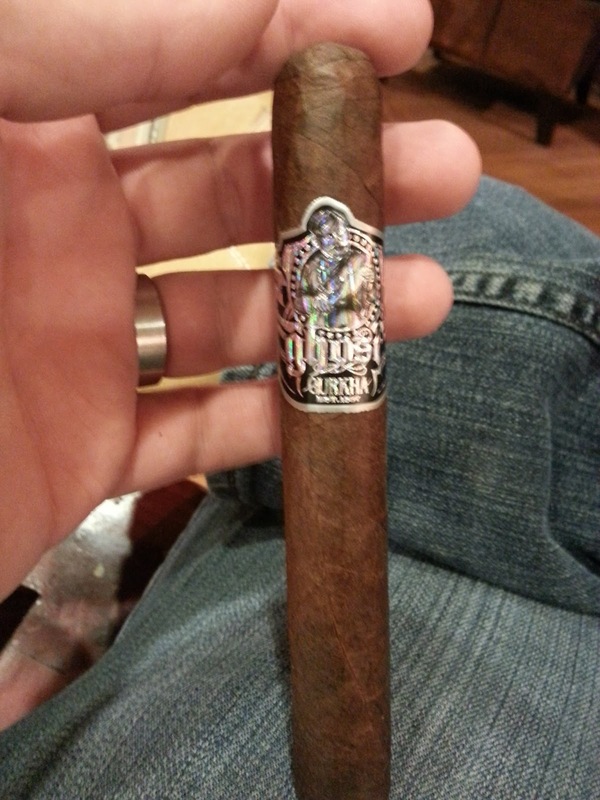 Overall (0-100): It’s tough to walk by the Gurkha Ghost and not at least want to take a look. The holographic band draws you in, and you may be lucky if it does. So, it’s an inviting cigar. Check. The next step to keeping a customer’s interest is that the price isn’t astronomical like a lot of the Ghurkha offerings are. Check, since this one slates at around $7.50. Okay so let’s say you give in and give it a try – you’ll find yourself questioning if it’s really made by the same people who have been riddled with construction issues before, since this one doesn’t have the same issues! And what’s further, there are some really interesting flavors that you get throughout the smoke – cocoa, cinnamon, earthy tones, nice woodsy flavors, and slight pepper. If nothing else, you’ll find this to be enjoyable smoke (and smoke liberally for that matter) that is worth picking up at least once.